Juvenile spring eruption. 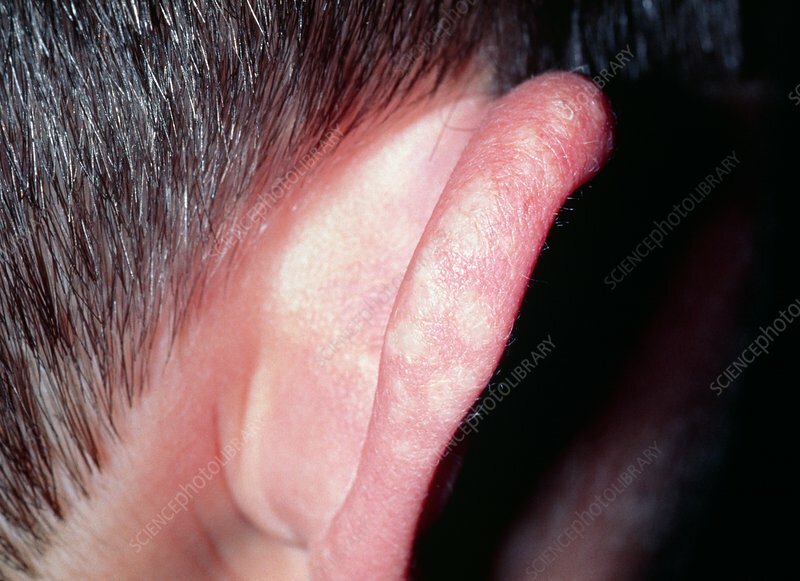 Close-up of juvenile spring eruption on a boy's ear. This condition is triggered by exposure to sunlight, although the underlying cause is not known. The eruption typi- cally lasts for one or two months before fading, and often recurs.